Support Michelle Obama’s Let Girls Learn initiative with an experience that would inspire people to share a personal message of hope and encouragement. It is staggering to think that 62 million girls worldwide are denied access to education, but in today’s environment of rapid-fire communication, it is a fact that is easily forgotten. 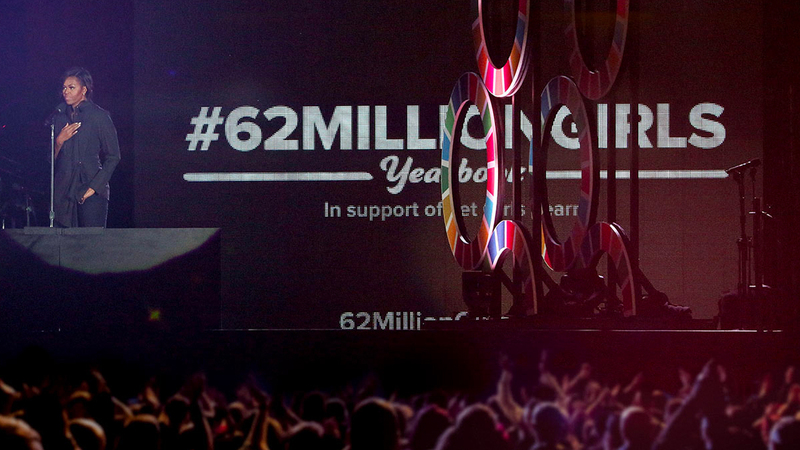 By personalizing the plight of the disadvantaged, we could galvanize people across the globe to lend their voices to the 62 million girls who are unable to speak out for themselves. 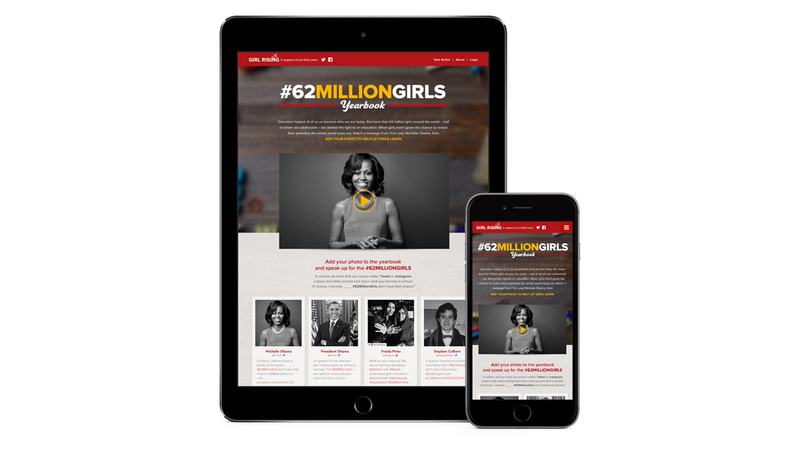 The interactive yearbook featured a responsive design and intuitive UX to enable users to upload a photo and personal message, drawing attention to an important cause. Technically, achieving optimal server performance with limited budget from our non-profit partners was crucial to the project’s success. The site needed to be able to scale quickly and handle the load began the moment Michelle Obama announced the initiative on the Stephen Colbert show. 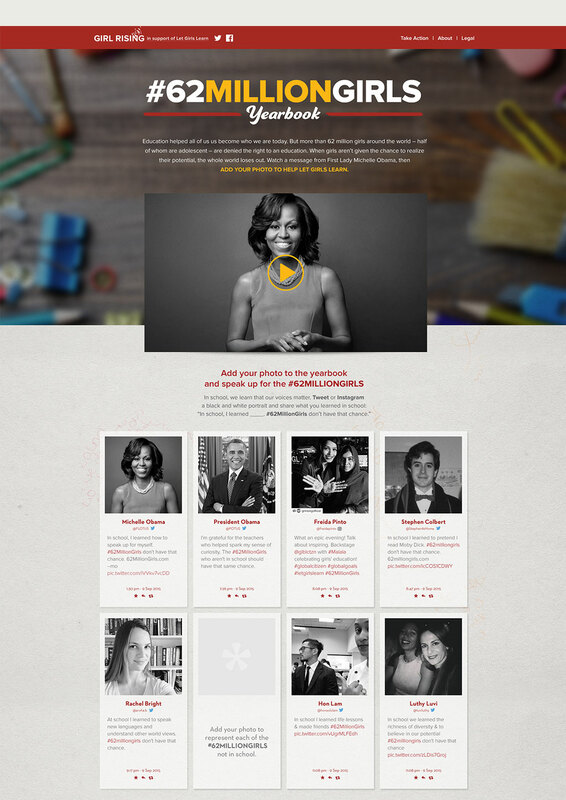 Thousands shared content on the site including, Michelle and Barack Obama, Stephen Colbert, Beyoncé and even Big Bird. 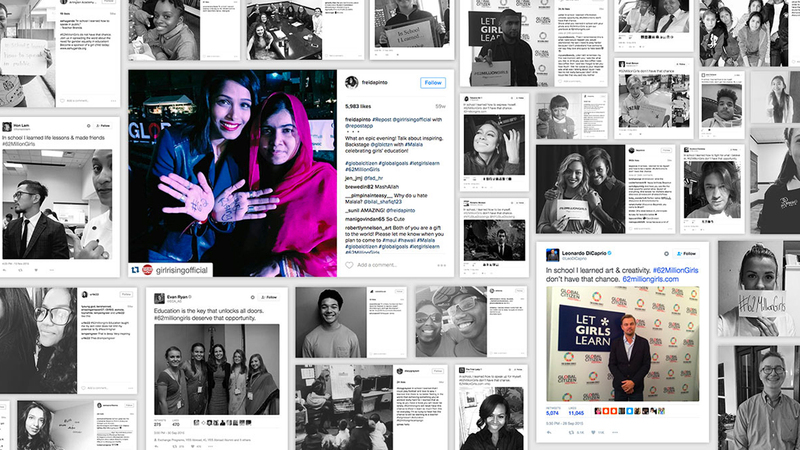 At launch, #62MillionGirls began trending at #1 in the US and #3 globally, garnering over 220 thousand social mentions within the first two weeks.